One Off Sermons preached by members of the ministry team. 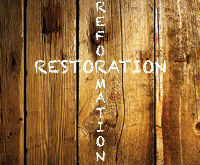 These are sermons which our pastor Alan Harvey has preached which are not part of a series. They are often preached on special occasions or for particular events. These are sermons which our pastoral assistant Tom Copperwheat has preached which are not part of a series. One Off Sermons preached by previous members of the ministry team. These are sermons which former assistant pastor Steve Dennis preached which are not part of a series. This series of sermons was preached in the morning Services from November 2014 to November 2015. This series was preached in the evening Services between May and August 2011. Steve Dennis preached this occasional series in the evening Services in the summer of 2014. This series was preached in the evening Services from August 2014 to February 2015. This series is available as a Podcast. This series was preached in the morning Services from May 2012 to December 2013. There was a gap while Alan Harvey was on sabbatical. This series was preached by Steve Dennis at various times (both morning and evening) while Alan Harvey was on sabbatical in 2013. This series was preached in the evenings from April 2016. It looks at some of the great texts in Jeremiah. This is a continuing series started in April 2014 being preached in-between other speakers, holidays and events. This series of sermons in November and December 2015 and was preached in the evenings by Tom Copperwheat. A series of sermons from the Old Testament book of Isaiah. It is not a verse by verse exposition of Isaiah. It was preached in the mornings from January 2013. There was a gap while Alan Harvey was on sabbatical, and the series finished in December 2014. A series preached in the morning Services from October 2011 to May 2012. A series of 15 consecutive sermons preached by pastor Alan Harvey in the evening Services between January and April 2007. A series of sermons preached at the evening Services from September 2010 to March 2011. A series of sermons preached by pastor Alan Harvey at the morning Services, starting in July 2008. A series of sermons preached by pastor Alan Harvey at the morning Services from April 2009 to January 2010. This is a short series preached in the evenings in March and April 2011. This series started in October 2016 and finished in Jan 2017. A series of 9 sermons preached by pastor Alan Harvey at the morning services from July to September 2011. This series of sermons was preached in the evening Services from March 2015 to November 2015. This is a series preached in the morning services throughout 2014. This was the first series to be part Podcast. You can link to the Podcast here. A series of 26 sermons which pastor Alan Harvey preached in the evening services between October 2008 and June 2009. He preaches consecutively through the books of 1 & 2 Timothy and Titus. This is a series preached in the evenings from September 2011 to December 2011. A series of 32 sermons preached by pastor Alan Harvey between January and November 2007 at the morning Services. He preaches consecutively through the book of Philippians. This is a series of sermons preached by Alan Harvey at the evening services in July - Dec. 2009. A series of 7 sermons preached by pastor Alan Harvey between July and September 2008 at the evening services. He takes the opportunity to look at several characters (both men and women) found in various places in the New Testament. This series is available as a Podcast. This series was preached in the evenings from September 2012 to January 2013. This series is available as a Podcast. It was preached in the evenings between April 2012 to July 2012. This is a series which pastors Alan Harvey and Steve Dennis preached in the morning services (January 2010 - June 2011). This is a series which pastors Alan Harvey and Steve Dennis preached in the evening services during 2010. This is a mini series of 3 sermons preached by Steve Dennis from 2 Chronicles on the life of King Asa in late 2013. This series of 10 sermons was preached by pastor Alan Harvey in the morning services between Jan - April 2009. This series was preached in the mornings mainly by Matt Benton from January to March 2016. "Tough Questions". This started in January 2016. A series of sermons on topical current issues preached in the morning Services from April 2014. It was preached in-between other speakers, holidays and events.